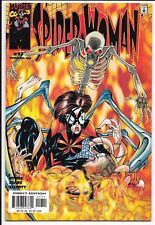 PETER PARKER SPIDER-MAN #17 (2000) MARVEL KRAVEN THE HUNTER! JOHN ROMITA JR ART! The Amazing Spider-Man Vol 2 #17 (May 2000, Marvel) - "Dust in the wind"
This page was last updated: 20-Apr 04:20. Number of bids and bid amounts may be slightly out of date. See each listing for international shipping options and costs.